Navigation: Main menu remains on top, except when you enlarge an image. Then you lose the menu entirely. Image View: Each gallery consists of thumbnails with information on medium and dimension. Clicking on a thumbnail enlarges it in a new page. You need to use the back button at this point to return to the gallery. Download is possible, with the usual copyright restriction on reproduction. 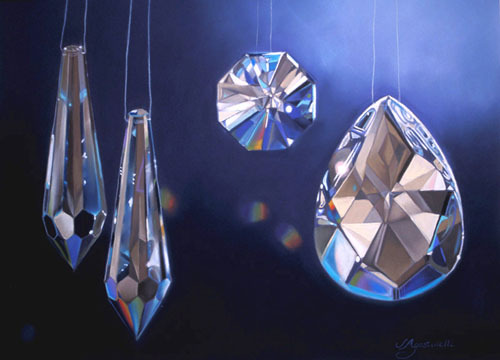 Crystal Charisma is 24 x 30 ins, 500 x 360, 60 KB.